The understanding of macroalgae functions and processes requires a good understanding of the spatial distribution of the functional diversity of macroalgae. In coral reef environments, this information remains fragmentary. Here, based on 314 species sorted according to a set of 10 functional traits, the functional niches of macroalgae at three remote coral reefs of the Îles Éparses in the Indian Ocean (Europa, Glorioso, and Juan de Nova) are described. For the comparison of intra- and inter-reef functional structures, we characterized both taxonomic and functional beta diversities, and their turnover and nestedness-resultant components. Within the three reefs, we observed strong taxonomic and functional dissimilarities across sampling sites, mainly determined by turnover. Null models highlighted several processes, which structured macroalgal assemblages across sites: a combined effect of environmental variables (geomorphology and wave exposure), limiting similarity and stochastic effects. At the inter-reef scale, the three reefs only shared a small number of species, but the functional beta diversity between Glorioso and Juan de Nova was weak. 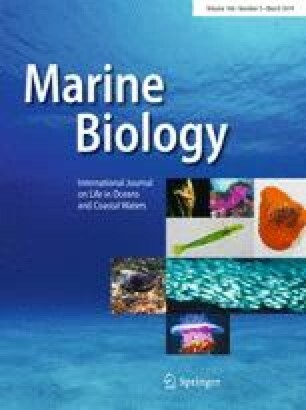 This suggested that although assemblages were different, fairly similar environmental conditions may have homogenized macroalgae functions through both ecological and evolutionary scale processes. Our results support the idea that macroalgal assemblages can provide similar functional trait portfolios, despite distinct species composition. We stress the need to focus on macroalgae life-history traits for a better understanding of the processes structuring their communities. The online version of this article ( https://doi.org/10.1007/s00227-019-3470-z) contains supplementary material, which is available to authorized users. The BIORECIE research program was led by the Centre National de la Recherche Scientifique, the Institut d’Ecologie et Environnement (CNRS-INEE) with the financial support from the Institut National des Sciences de l’Univers (INSU), the Institut de Recherche pour le Développement (IRD), the Agence des Aires Marines Protégées (AAMP), the Fondation pour la Recherche sur la Biodiversité (FRB), the Terres Australes et Antarctiques françaises (TAAF), and the Veolia Environment foundation. We warmly thank Pascale Chabanet for leading the BIORECIE program and offering the unique opportunity to sample in the Îles Éparses. We are very grateful to the military personnel stationed on each of the reefs for providing logistical supports. The crew of the R/V Antsiva greatly helped for the sampling of the three reefs. We acknowledge three anonymous reviewers and Editor Dr. Roleda for their comments that helped clarifying several aspects of the study. Authors whose names appear on the submission have contributed sufficiently to the scientific work and, therefore, share collective responsibility and accountability for the results. This article does not contain any studies with human participants or animals performed by any of the authors. All necessary permits for sampling and observational fields have been obtained by the authors from the competent authorities (TAAF) and are mentioned in the acknowledgments. We took care not to disturb wildlife or the surrounding environment more than necessary to gather the samples. Consent to submit has been received explicitly from all the authors, as well as from the responsible authorities—tacitly or explicitly—at the institute/organization where the work has been carried out, before the work is submitted.